Part 1 explored the scope of Regulation 14.1.3 of Annex VI of the MARPOL Convention (“Regulation 14.1.3”) and provided an analysis of the contractual, penal and coverage risks to which owners and charterers may become exposed, if they do not take steps to comply with the Regulation by 1 January 2020. Part 2 provides a summary of compliance challenges facing owners and charterers, in addition to an analysis of the challenges that the IMO faces in enforcing Regulation 14.1.3. The first challenge facing shipping companies is the estimated cost of compliance. The retrofitting of scrubbers or alternative fuel engines on vessels is likely to involve initial investments in excess of US$1 million. These options are explored in Part 3 of the series. 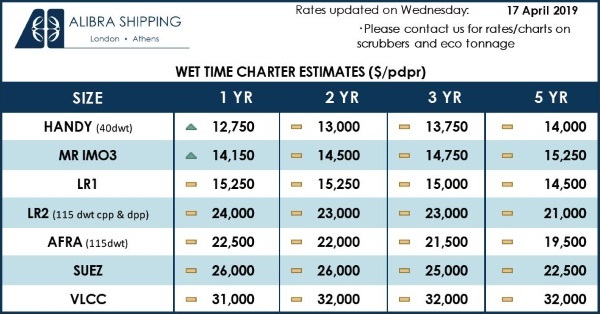 Time charterers (and owners under voyage charterparties) intending to purchase compliant Low Sulphur Fuel Oil (“LSFO”) or marine gas oil, will need to factor in the increased costs of LSFO, which is currently around $200 per tonne more expensive than Heavy Fuel Oil. This is due in part to high oil prices, and a sudden increase in demand and corresponding slim availability of compliant fuel. Owners and charterers should also factor in current and projected market profitability for 2020, potential new operational costs such as investment in cyber security, and other IMO initiatives (e.g. the IMO 2050 Green House Gases commitment) which may also require investment, in order to comply. Market surveys suggest that up to 90% of shipping companies are expected to look to compliant fuel to comply with Regulation 14.1.3. Given improved refining techniques, and an expected increase in the number of compliant blended fuels (“blended LSFOs”), availability should not be an issue at larger ports such as Rotterdam or Singapore. 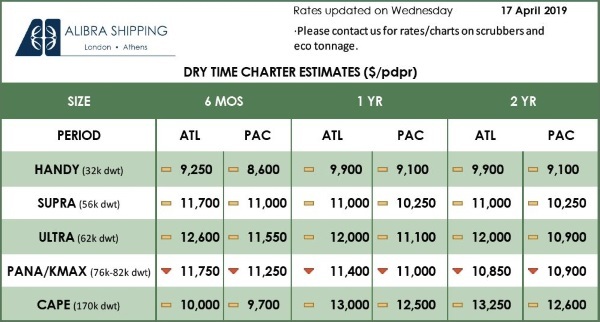 Owners and charterers should, however, be aware of smaller or more remote ports, which may experience supply disruption or lack adequate bunkering infrastructure (for example smaller South American or African ports). ‘Tramping’ vessels, or vessels undertaking lengthier voyages should contact ports in advance and consult supplier and port authority websites – which have now started to confirm the availability of compliant fuels – to confirm known locations of compliant fuel. Under BIMCO’s 2020 Global Marine Fuel Sulphur Content Clause (the “Content Clause”), which is expected to be put forward for adoption in November 2018, charterers must only use bunker suppliers and barge operators who will comply with MARPOL requirements throughout the supply chain. With the range of blended LSFOs available to the industry expected to rapidly increase to meet global demand, another notable concern is the lack of any international standardisation governing the composition and quality of “compliant” LSFOs; the ISO has confirmed that it will not publish a new standard for compliant fuels, before 1 January 2020. Many blended LSFOs are not yet commercially available; their composition and mixture remain unknown and untested. This has led to concerns over the stability and compatibility of different fuels (posing problems for vessels that require bunkering at different ports), and introduces ancillary complications such as the correct lubricants and engine oil to use for each blend. To compound the issue, the IMO has no jurisdiction over the global supply industry under which to directly enforce Regulation 14.1.3. Until a new ISO standard is announced, differing local standards and a priority towards profit-making, as opposed to information sharing, could mean that certain suppliers may adhere to the 0.5 m/m limit more diligently than others, and compositions may vary vastly. The issue is further complicated by the recent spree of bad bunker cases in Houston, Panama and Singapore. Consequences for owners and charterers include a heightened risk of incidents such engine blackouts, loss of propulsion, blockages to tanks and pipes, and, potentially, explosion. As well as the obvious safety risks to crew, and contractual liabilities arising under the charterparty (e.g. ‘fitness for purpose’ claims for mechanical damage), owners and charterers also risk undocumented environmental damage, owing to the unknown compositions of new blends, in the event of a spill. iv) negotiate suitable indemnity provisions in the event that fuel is found to be non-compliant. Companies may also need to consider an overall fuel management plan (including tank cleaning protocols, consideration of multiple tank installation, and investment in crew technical training). BIMCO have announced that they intend to publish four 2020 sulphur cap bunker-related clauses by early 2019 – including the Global Marine Fuel Sulphur Clause for Time Charter Parties (the “Compliance Clause”) and the “2020 Transitional Fuel Clause” (the “TFC”) both of which were approved by BIMCO’s Documentary Committee, yesterday, 13 November 2018. These two new bunker clauses, which will be released as a package in December 2018, are designed to address the obligations of charterers and owners to deal with general compliance and the transitional period. The Compliance Clause sets out the obligations and responsibilities of owners and charterers to comply with MARPOL Annex VI sulphur content requirements, and states that charterers are obliged to provide fuel that complies with MARPOL requirements, grades and specifications set out in the charter party. It also states that charterers must use suppliers and bunker barge operators who comply with MARPOL and that shipowners will remain responsible for the fuel management. The second clause, the TFC, deals with the transitional period from the end of 2019 to the beginning of 2020 and focuses on cooperation between owners and charterers to minimise quantities of non-compliant fuel on board by 31 December 2019. Any remaining non-compliant fuel on board after 1 January 2020 will have to be removed no later than re-delivery or 1 March 2020 – whichever comes first, and removal of non-compliant fuel must be done at the charterers’ cost, while tank cleaning must be done at the cost of the shipowners. The Marine Environmental Protection Committee (“MEPC”) has recently rejected a formal proposal by a number of Flag States and shipowner associations to adopt an “experience building phase” (“EBP”) on 1 January 2020. An EBP would have seen a pragmatic approach for enforcement, such that non-compliant vessels, which had done everything possible to comply, would not be unduly penalised until the issues of fuel availability and quality were better understood by the industry. Amid concerns that approving an EBP would effectively delay or soften enforcement (and penalise owners who had already invested heavily in complying), and following a stalemate in negotiation at the MEPC 73 meeting in October 2018, the chairman of the IMO has confirmed that no such proposal will currently be entertained. This is subject to a request that interested members make further submissions at the next meeting (MEPC 74), to be held in May 2019. Though the compromise leaves open the possibility that the IMO could reconsider the introductions of an EBP, owners and charterers should assume for now that Regulation 14.1.3 will take effect with immediacy from 1 January 2020. -The recently approved IMO guidance on overcoming technical challenges to compliance, which includes an (optional) safety implementation plan and risk assessment of new fuels. -The IMO’s draft standard reporting format for reporting fuel oil non-availability (similar to Fuel Oil Non-Availability Reports, which are already recognised in certain jurisdictions). -The September 2018 guidance paper published by the ICS, which includes an implementation plan for vessels to present to port authorities to aid fuel compliance. On the one hand, Flag and Port States that have not ratified Annex VI are under no obligation to enforce Regulation 14.1.3 against non-compliant vessels. Therefore, vessels flagged with a non-member Flag State, which operate solely between non-ratifying Port States do not need to comply with Regulation 14.1.3. Even vessels flagged with ratifying Flag States are not likely to face Port State enforcement when visiting ports that have not adhered to Annex VI. There is the further possibility that some Flag States may be reluctant to revoke certificates in each case of non-compliance, in order not to appear to have a poor compliance record. On the other hand, enforcement of Regulation 14.1.3 will be delegated to Member Flag and Port States, with no centralised funding or enforcement framework. Even with instruments such as the European Sulphur Directive at community level (which encourages States to impose fines that deprive offenders of the economic benefits derived from their infringement), and the recently approved Carriage Ban (discussed below), individual penal systems will differ; some may only offer slower or procedurally more onerous recourse to enforcement, leading to uneven or lacklustre enforcement. While ports such as Amsterdam-Rotterdam-Antwerp and Singapore are experienced and well-resourced to carry out effective enforcement, many Port States will lack both the resources and the experience to effectively enforce the Regulation; higher levels of corruption and a slower rate of adaption in developing countries or those lacking a strong infrastructure, will also affect the uniformity of enforcement. Owners and charterers are advised to monitor and keep a log of exhaust emissions, for presentation at Ports. Nonetheless, enforcement tactics, including the use of “sniffers” – sensory sulphur detection systems for vessels’ exhaust gas (currently used on the Great Belt Bridge in Denmark) –, air and satellite surveillance, scrubber or bunker sampling and BDN inspections on a spot check basis, are likely to become more widely adopted with time. Localised sulphur regimes are also already in force in countries such as Hong Kong, Turkey and China. In addition the IMO has now also formally adopted a total ban on the carriage of non-compliant fuel after 1 March 2020, for vessels not fitted with alternative technology; under the TFC, non-compliant fuel belonging to charterers after 1 January 2020 will need to be disposed of at charterers’ risk, time and cost, by the earlier of 1 March 2020 or the redelivery date. v) Ensure they have an efficient emissions monitoring procedure in place. At Clyde & Co, we have experience in assisting owners, charterers and fuel suppliers with drafting well-structured, clear and balanced clauses, and providing concise coverage advice. In Part 3, we will explore the various operational solutions available to owners, in addition to funding options available, in light of the substantial initial investment required for compliance.